The physical and emotional toll of caring for an aging or disabled relative can be incredibly taxing. 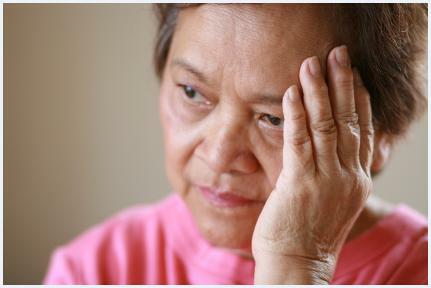 Research from The National Center on Caregiving shows family caregivers experience a higher rate of depression and other chronic health problems. "They don't eat properly, exercise properly or get enough sleep," remarks Rachel Carson, a certified senior adviser and owner of a national care provider. "They don't take the time to see a doctor." If you are currently serving as a family caregiver, it is vital that you pay constant attention to your own health. 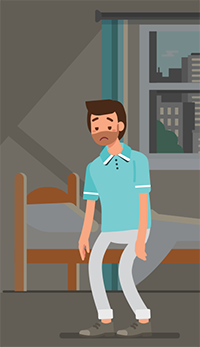 Neglecting your emotional and physical needs can lead to serious stress and burnout. But where can you turn for help? In addition to working with a reliable home care agency that can step in and provide much-needed relief, ClearCare Online’s home care system and home care software will reassure you that you are still keeping a watchful eye over your loved one’s daily care. To raise awareness about the risks that family caregiving poses, many communities and health care advocates provide programs and classes for those who are interested in learning about alternative methods of care. One such program, Family Caregiver Stress Relief Program, includes online tools and assessments designed to help families recognize their responsibilities as caregivers and determine if they are at risk for developing health problems. Claire Glasson of the Low Country Council of Government’s Area Agency on Aging says some health risks can be avoided if caregivers take the time to step away from the role of caregiver and rest. Many families have found that a reliable home care system and home care software program allows them to do so. A web-based home care system like ClearCare is designed to help families stay connected with their aging relatives – without having to be the primary caregiver. ClearCare Online’s home care software gives family members real-time updates on their loved one’s daily care, providing incomparable peace of mind. Some agencies also offer Family Caregiver Support programs which provide small grants to caregivers so that they can hire someone to care for their loved one. This can give families a well-deserved break, and also help them to make more permanent arrangements. In many instances, families simply just don’t have the time to look into alternative care settings or interview home care agencies. But with a few days of respite and careful planning it can easily be accomplished. Not only does working with a dependable home care system like ClearCare Online help family members stay involved in their loved one’s care, it also helps seniors stay living at home longer. In-home care is the preferred setting for more than 90 percent of our nation’s elderly population. It allows seniors to remain safe and comfortable in familiar settings, receive personalized care from an appropriately trained caregiver, and often means a better outcome than institutionalized care. Caregivers that use ClearCare Online’s home care software always know exactly what daily tasks are expected to be completed, and communicating with other members of the care team is a snap thanks to a sophisticated messaging system. 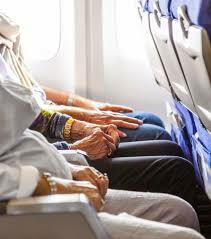 Rachael Carson compares the challenge caregivers face to the safety measures taken on an airplane during turbulence. Passengers are instructed to put on their own oxygen mask before helping others with theirs. It is much the same with caregiving. Family members must remember to take care of themselves or they will be of no use to their aging loved ones. For tips on how ClearCare Online’s home care system can help your family better balance the responsibilities of caregiving, call one of our friendly representatives today.